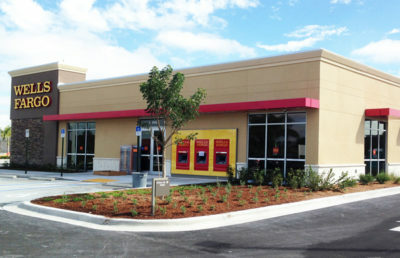 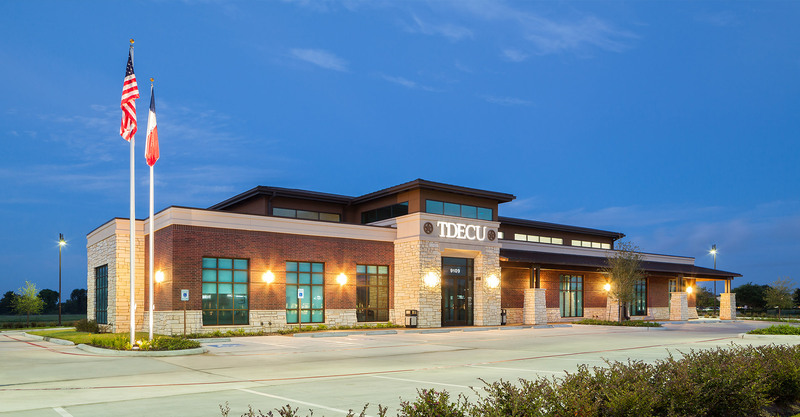 Designed to emulate the regional vernacular of the Texas country-side, this custom 8,500-square-foot branch is conveniently located near the entrance of the Sienna Plantation community in Missouri City, Texas. 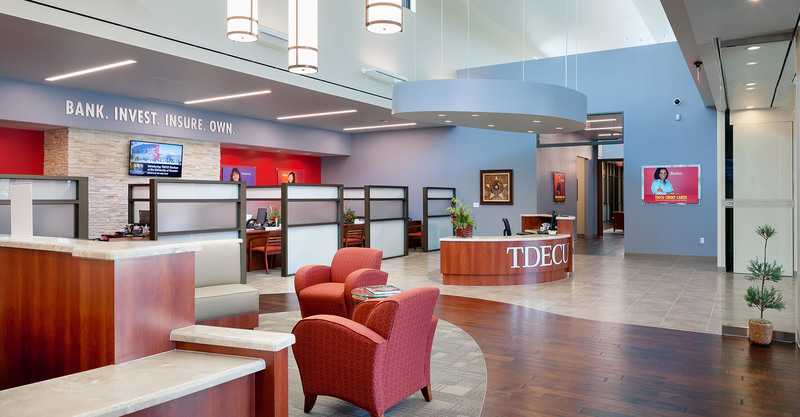 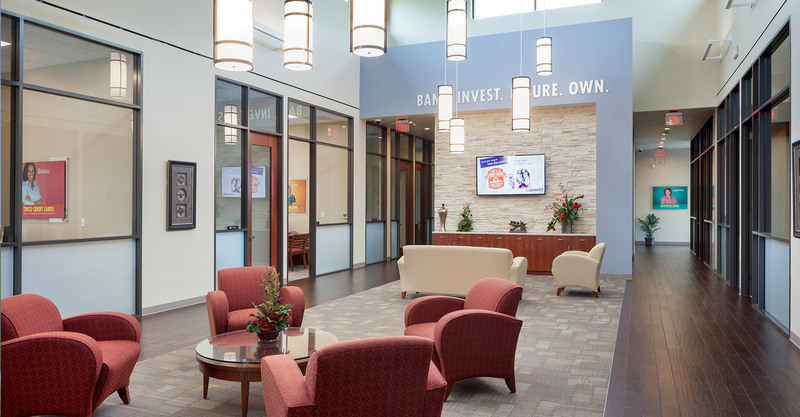 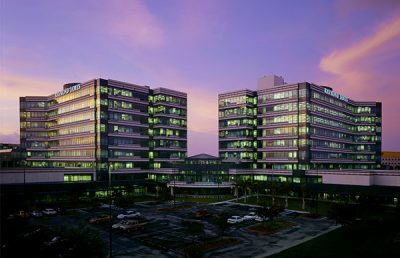 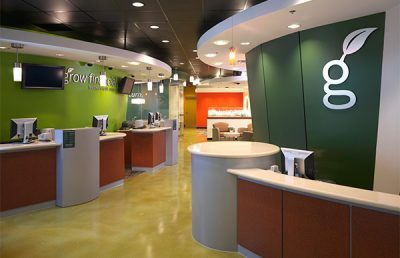 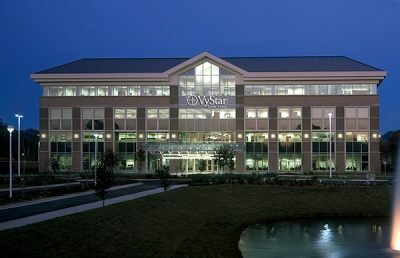 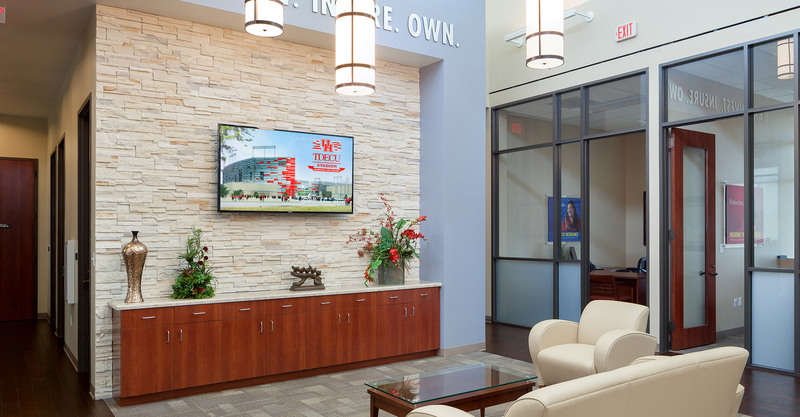 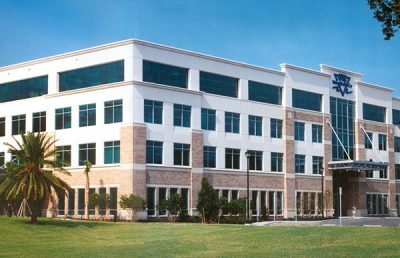 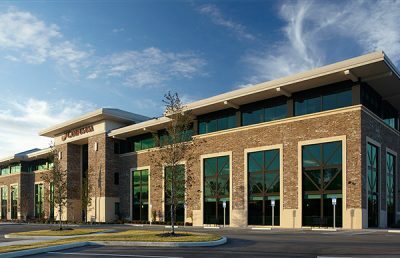 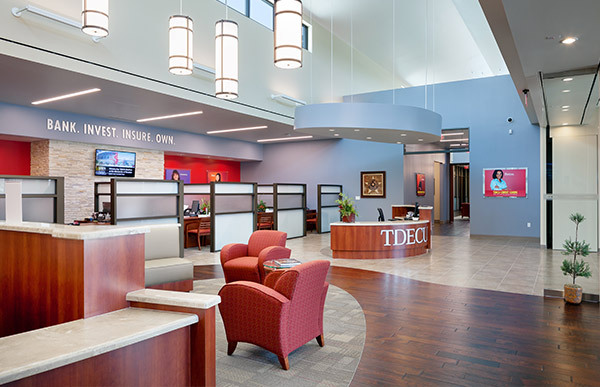 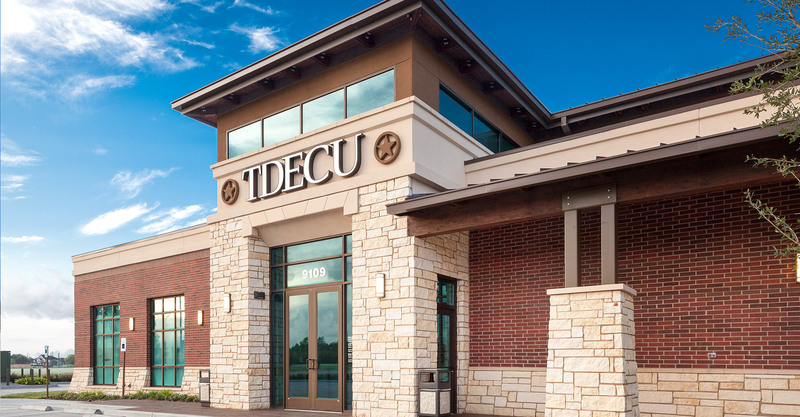 Texas Dow Employees Credit Union desired exposure and visibility in the building design and placement on site to improve and expand their brand recognition in a growing market. 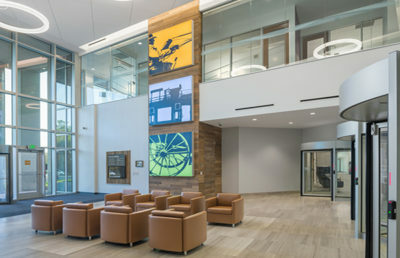 To ensure the facility reflects the country-side, RS&H incorporated farmhouse exterior elements into the design, such as regional limestone, a covered walkway, a double height central space, clerestory windows, and a metal roof. 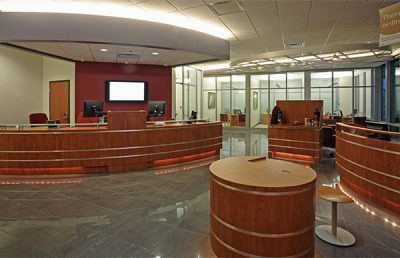 We also provided planning, programming, architecture, interior design, and engineering services for the facility. 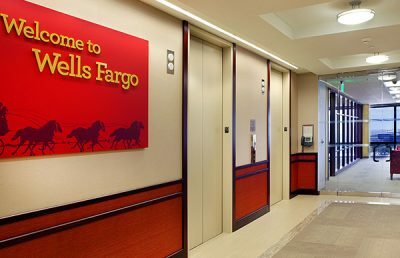 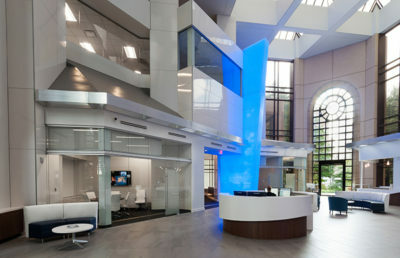 As credit union members enter the branch, they walk under a covered entry and vestibule bordered by large glass storefront windows with red brick columns. 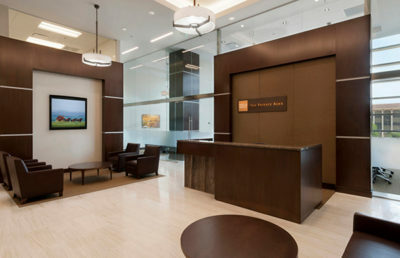 Members are immediately welcomed into a 25-foot-high lobby space with vaulted ceilings. 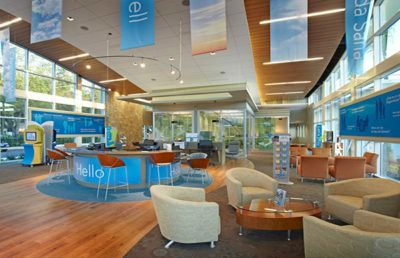 The lobby was designed as a modern community space to welcome greater interaction between both members and credit union staff. 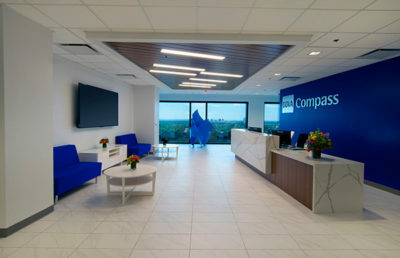 Other areas of the design include a central member information station, on-line banking center, café, den, and kid’s corner were incorporated in the design, all with views to the exterior.